Lakshadweep is emerging as a great tourist destination in India, which is still very pristine and unspoiled by the human intervention. Lakshadweep receives many Indian and foreign tourists every year. To accommodate them there are many hotels which have emerged to cater to the growing need of the tourism industry. Most Hotels in Lakshadweep are equipped with necessary amenities and luxuries. The reasonably rated hotels are a pleasure to stay in. 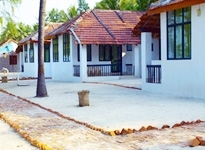 Most of these hotels reflect the natural beauty and look of Lakshadweep. The decor, the interior, hospitality and the food reflects the tradition of Lakshadweep. These Lakshadweep Hotels offer excellent accommodation to the travelers along with modern amenities. For recreation, these hotels offer water sports facilities, arranges for your sight seeing and excursions and have their own restaurants, coffee shops and bars that take care of your food and beverage needs. The restaurants serve mouth watering cuisines mainly concentrating on sea food dishes.